at first, i tried to keep up with it, all of the wonderful e-mails and posts filled with everyone's kind words and sympathies, comfort and condolensces. after awhile though, i became overwhelmed and was so numb i wasn't really sure what i had been writing anyway. for those of you--ALL of you--who sent me e-mails, posts, myspace messages whatever with your touching words about mike and your thoughts and prayers for mike's family and myself, THANK YOU SO MUCH! from the bottom of my heart. seeing that so many people loved mike's artwork and cherished him as a friend made it so much easier for all of us; matt, suzanne, mike's mom and dad, craig, and me. many people got up to speak at mike's service and there were certainly some tearful moments. but there were also many laughs--as mike would have wanted it. scott kurtz cannot say three words without two and a half of them being hilarious. mark waid's touching words gave us all permission to cry. memories from rich case, jeff parker, chris kempel, scott hampton about mike's early days in the artamus studio. 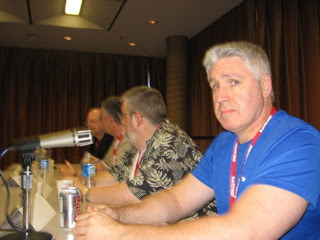 mike's best friend, paul rogers, told of mike's love for comics and his starry-eyed dreams of breaking in. shelton talked of his love for mike and the family of artists who call heroescon their home. many more. of them all however, i don't think that anyone summed up mike and who he was as well as the first speaker, mike's brother, matt. i've known matt--and his lovely wife, suzanne--for about four or five years now. dinner with them on the first friday night of heroescon has become a tradition and we always look forward to seeing them and getting a chance to spend some time. matt was my brother's brother. now he is my brother. he is an amazing man and, in the past week, has shown me a strength that i just don't think i have. here is his eulogy for mike. no one said it better. friend. I’m one of them. generally making a nuisance of myself. But that was okay because he was my big brother and that was his job. above us and retreived my shoe. was leaving around the house. The floppy things with all the pictures. But he was my big brother and he was doing his job. And it was okay. He was my big brother and he took his job seriously. When Mike was in high school, he drove a sweet ride. A ‘66 Mustang. He loved that car. It was so cool. So, naturally, I had to have one. only wanted a Mustang because I had one. And he was right. to work with Carlton because he had. But he never said it. He was my big brother. And he was good at his job. on, buying me lunch, giving me advice. He was my big brother and he was looking out for me. trouble with his computer. We eventually saw each other only twice a year. He was my big brother and I am so proud of that. Wow, that was a very heartfelt and wonderful post. Matt's eulogy was just 'wow' as well. Any chance you might want to share anything you said as well? Thanks for posting this though. It means a lot to us fans, and I hope it helps with the healing to share it. Can I also add that the tribute picture that Craig posted on his blog is also moving? I really liked it a lot. Heartfelt words that had me almost crying. 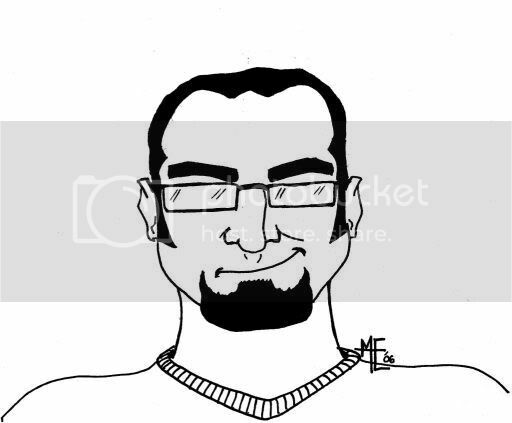 I never met Mike but having read his blog for a while n ow I really felt as though I knew him personally. I still can't believe he has gone and, stupid I know, I check his blog anyway hoping that there will be a new entry from him. Matt's eulogy was moving and funny at the same time. Those are words that are worth a thousand pictures. Thanks for sharing these touching words... And for keeping the blog updated. It's somehow comforting to come home after work (usually late at night for me), and see you're communicating. That was a beautiful eulogy. Thanks for sharing it with us. Hiya. If you are here, reading these words, you already know the Love that we, all of us, have for Mike Wieringo. A fan, an acquaintance, a colleague, a friend...all have the same feelings in our hearts at this time. That is because, we are a community. Yeah, that's right, something we have always known, because we all have the same thing in common, our love of comics, the characters that dance around in these amazing four color adventures, the joy, the excitement, the suspense, the drama, the fun, the sorrow and the loss, all a part of our unique artform. Unique, just like Mike. We lost Mike this month...but...not really, not completely, just think about it, Mike is still here, with his pages & pages & pages of published work, his sketches to fans met just that day, his blogs & artwork on his daily updated website sharing his feelings, observations and opinions on the same life that we are all going through...Mike spoke to us, he spoke to our community...He touched more lives in our community in a Positive way than I think he will ever know...But we know...So, go to your collection and find a copy of Tellos, a copy of Flash or Robin or Adventures Of Superman or Fantastic Four or Rogue or Friendly Neighborhood Spiderman or any other great book Mike left for us to enjoy. 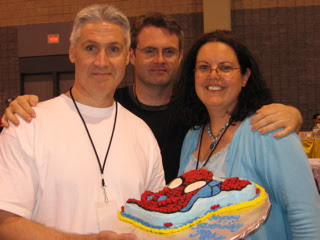 Celebrate the life of Mike Wieringo, as a fan, an acquaintance, a colleague and the best friend that I have ever had. You will always be here with us. I love you buddy. And I miss you. Paul. Fantastic beat ! I would like to apprentice whilst you amend your web site, how could i subscribe for a blog website?